For over 4 years, Dale Ketola has had his Myrtle Beach golf instruction school in a few different locations. He is now moving on to his next step in the Myrtle Beach golf scene by becoming the Director of instruction and club fitting at the Golf Performance Center, which will be located come March 1, 2017 at the Resort Course at Grand Dunes. The Golf Performance Center will be housed in the building that the Mel Sole Golf School was at, after some renovations and new fitting and teaching equipment is purchased and installed for the center. Ketola is a former member of the CCU men’s golf team and previously had Potential Golf and Farmstead Golf Links back in 2012 and moved to River Hills Golf and Country Club in the spring of last year (2016). 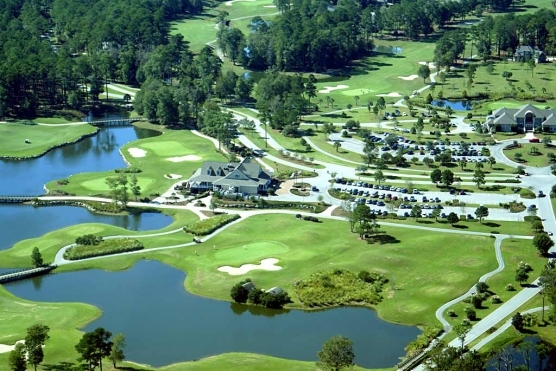 The owners of Founders Group International (which owns over 22 Myrtle Beach area golf courses, including Grande Dunes and River Hills) went to Ketola about opening this new business. Because the timing was right and it was something that he had wanted to do for a while, the fit was natural. For about the past month, Ketola has been working everyday at his office temporarily located in the cart barn at Grande Dunes to develop the program what decide on what he wants to do with all the technology and instruction for this new endeavor. Some items that he has to work with include: FlightScope radar technology – for high speed video and even FocusBand – which focuses on the mental game and instruction for your head! For the fitting side of the complex, they are planning to have TaylorMade and Callaway and hope to add a few more based on what the golfers are looking for. Michelle Kempe will also be involved in the fitting, as well as a NC State intern. Other professionals will also be in an out of the center based upon their schedules to assist Ketola with seminars and clinics on performance both physically and mentally, plus a club fitter from the PGA tour. The junior golf scene will be a large part of what Ketola does at the complex as well.